Washington has blocked the appointment of former Palestinian Prime Minister Salam Fayyad to lead the UN’s political mission in Libya, while accusing the world body of being “unfairly biased” in favor of the Palestinian Authority. US Ambassador Nikki Haley said that the Trump administration “was disappointed” by UN Secretary-General Antonio Guterres’ intention to appoint Salam Fayyad as the UN’s next special representative to Libya, which was announced in a letter to the Security Council. “For too long, the UN has been unfairly biased in favor of the Palestinian Authority to the detriment of our allies in Israel,” Haley said, as quoted by AP. Palestine is a non-member observer state at the United Nations, and its independence has been recognized by 137 of the 193 UN member nations so far. However, Haley noted that Washington doesn’t recognize a Palestinian state “or support the signal” that Fayyad’s appointment would send within the United Nations. Speaking on condition of anonymity, UN diplomats told AP that Fayyad, a Texas-educated former International Monetary Fund official, is recognized for his efforts to reform Palestine. He served as the Palestinian Authority’s prime minister from 2007-2013. Fourteen Security Council members have thrown their weight behind Fayyad’s appointment to succeed Martin Kobler in the Libya job. Former US ambassador to Israel Dan Shapiro lambasted the decision to block the appointment. “True it’s farce, ridiculous,” he wrote on Twitter. “But if you know Fayyad – decent, smart, honest, ethical, hardworking – it’s much more outrageous,” Shapiro said. Despite its objection to Fayyad, Haley said Washington is looking forward to resolving the Israeli-Palestinian conflict. “We encourage the two sides to come together directly on a solution,” she said. — Dan Shapiro (@DanielBShapiro) 11 февраля 2017 г.
Israel met Haley’s statement with applause. “This is the beginning of a new era at the UN, an era where the US stands firmly behind Israel against any and all attempts to harm the Jewish State,” said Israel’s UN ambassador, Danny Danon. “The new administration proved once again that it stands firmly alongside the state of Israel in the international arena and in the UN in particular,” he added, as quoted by the Times of Israel. Israeli Prime Minister Benjamin Netanyahu is set to meet with President Donald Trump next week. In December of last year, the UN Security Council passed a resolution demanding that Israel “immediately and completely cease all settlement activities” on occupied Palestinian territories, with the US abstaining. It was the first resolution passed by the United Nations Security Council on the Israeli-Palestinian conflict in nearly eight years. Israeli-American activist and author Miko Peled told RT that the move was clearly “a blow for Israeli diplomacy” that could even lead to the end of Netanyahu’s political career. Shortly after the resolution passed, Trump criticizing the Obama administration for abstaining from the vote. “As for the UN, things will be different after Jan. 20th,” he tweeted. 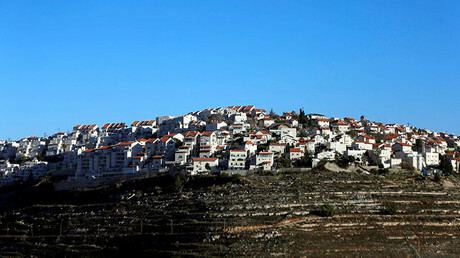 Israel seized the Palestinian territories in 1967, and over 500,000 Israelis currently live in settlements built on the occupied land. 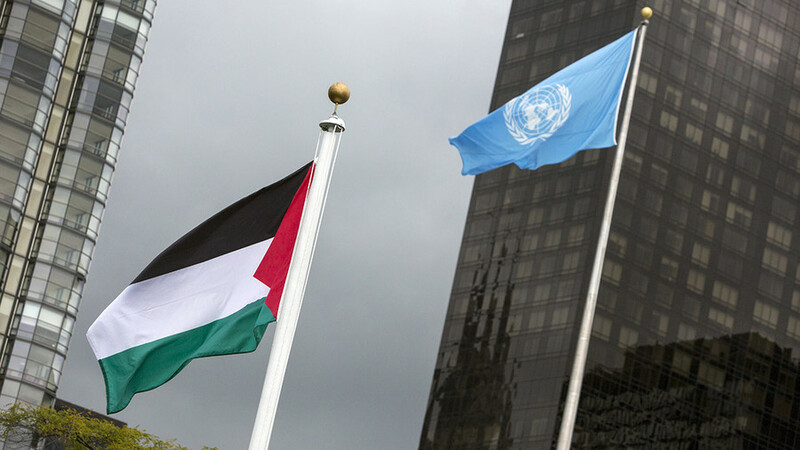 The Palestinians have been demanding that both the UN and the international community fully recognize their territories as an independent, sovereign state for decades.